Students with the Valentine’s Day hyper buzzes and puppy love giggles? Give them some word activities! 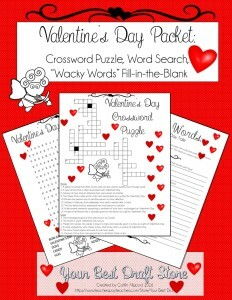 This packet is great for planned or last minute activities for Valentine’s Day. 15-word activities that feature Valentine’s Day vocabulary. Answer keys included!